One of the biggest complications emerging from the industry's breakneck growth is the maintenance of solar farms. Historically, technicians have run electrical tests on random sections of solar cells in order to identify problems. In recent years, the use of drones equipped with thermal cameras has improved the speed of data collection, but now technicians are being asked to interpret a never-ending flow of unstructured data. That's where Raptor Maps comes in. The company's software analyzes imagery from drones and diagnoses problems down to the level of individual cells. The system can also estimate the costs associated with each problem it finds, allowing technicians to prioritize their work and owners to decide what's worth fixing. "We can enable technicians to cover 10 times the territory and pinpoint the most optimal use of their skill set on any given day," Raptor Maps co-founder and CEO Nikhil Vadhavkar says. "We came in and said, 'If solar is going to become the number one source of energy in the world, this process needs to be standardized and scalable.' That's what it takes, and our customers appreciate that approach." Raptor Maps processed the data of 1 percent of the world's solar energy in 2018, amounting to the energy generated by millions of panels around the world. And as the industry continues its upward trajectory, with solar farms expanding in size and complexity, the company's business proposition only becomes more attractive to the people driving that growth. Raptor Maps was founded by Eddie Obropta '13 SM '15, Forrest Meyen SM '13 Ph.D. '17, and Vadhavkar, who was a Ph.D. candidate at MIT between 2011 and 2016. 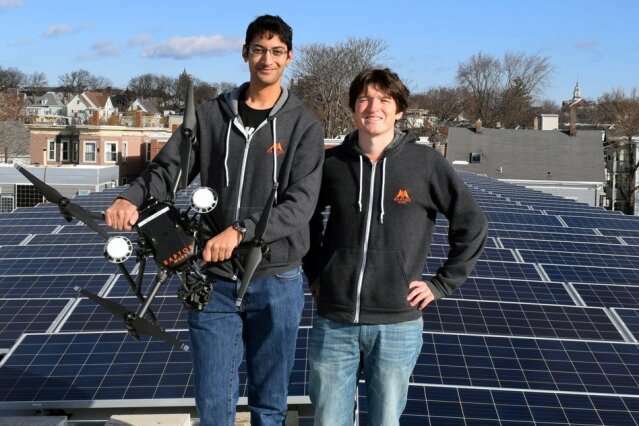 The former classmates had worked together in the Human Systems Laboratory of the Department of Aeronautics and Astronautics when Vadhavkar came to them with the idea of starting a drone company in 2015. The founders were initially focused on the agriculture industry. The plan was to build drones equipped with high-definition thermal cameras to gather data, then create a machine-learning system to gain insights on crops as they grew. While the founders began the arduous process of collecting training data, they received guidance from MIT's Venture Mentoring Service and the Martin Trust Center. In the spring of 2015, Raptor Maps won the MIT $100K Launch competition. "Solar is similar to farming: It's out in the open, 2-D, and it's spread over a large area," Obropta says. "And when you see [an anomaly] in thermal images on solar, it usually means an electrical issue or a mechanical issue—you don't have to guess as much as in agriculture. So we decided the best use case was solar. And with a big push for clean energy and renewables, that aligned really well with what we wanted to do as a team." Obropta and Vadhavkar also found themselves on the right side of several long-term trends as a result of the pivot. The International Energy Agency has proposed that solar power could be the world's largest source of electricity by 2050. But as demand grows, investors, owners, and operators of solar farms are dealing with an increasingly acute shortage of technicians to keep the panels running near peak efficiency. Since deciding to focus on solar exclusively around the beginning of 2018, Raptor Maps has found success in the industry by releasing its standards for data collection and letting customers—or the many drone operators the company partners with—use off-the-shelf hardware to gather the data themselves. After the data is submitted to the company, the system creates a detailed map of each solar farm and pinpoints any problems it finds. "We run analytics so we can tell you, 'This is how many solar panels have this type of issue; this is how much the power is being affected,'" Vadhavkar says. "And we can put an estimate on how many dollars each issue costs." The model allows Raptor Maps to stay lean while its software does the heavy lifting. In fact, the company's current operations involve more servers than people. The tiny operation belies a company that's carved out a formidable space for itself in the solar industry. Last year, Raptor Maps processed four gigawatts worth of data from customers on six different continents. That's enough energy to power nearly 3 million homes. Vadhavkar says the company's goal is to grow at least fivefold in 2019 as several large customers move to make the software a core part of their operations. 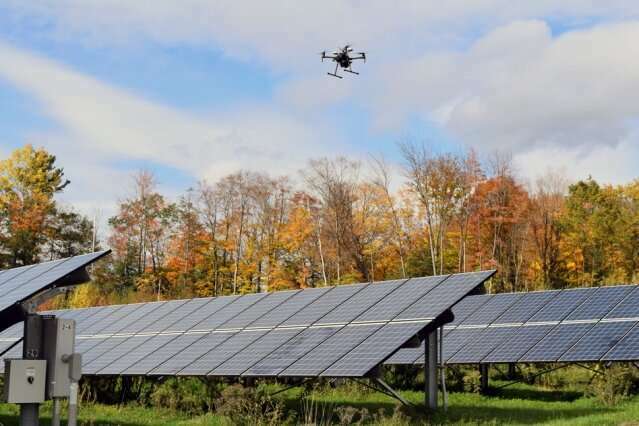 The team is also working on getting its software to generate insights in real time using graphical processing units on the drone itself as part of a project with the multinational energy company Enel Green Power. "The growth of the industry is what drives us," Vadhavkar says. "We're directly seeing that what we're doing is impacting the ability of the industry to grow faster. That's huge. Growing the industry—but also, from the entrepreneurial side, building a profitable business while doing it—that's always been a huge dream."